Chiquita shareholders have voted against a merger deal with Irish rival Fyffes. As a result, the US-based banana company will enter talks with Brazil’s Cutrale and Safra following its $14.50 a share offer. The announcement sent shares in Fyffes down 5% to 94 cents in Dublin, while Chiquita shares rose 3% to $14.16 in New York. The Brazilian groups raised their offer by 4% on Thursday ahead of the shareholder vote. The Fyffes deal, first announced in March, would have created the world’s largest banana supplier, with $4.6 billion in annual revenues. 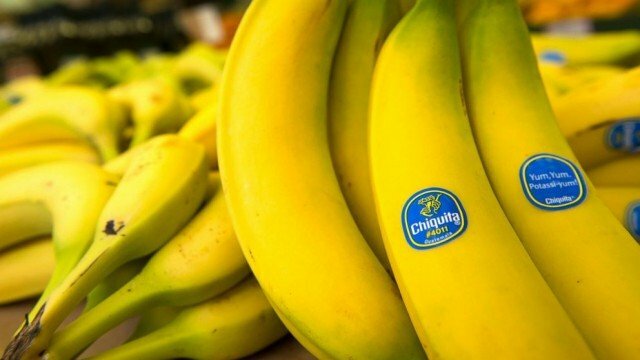 The Brazilian consortium had said their revised bid, which valued Chiquita at about $682 million, offered shareholders 20% more than the Fyffes bid. Chiquita had said ahead of the meeting that that it would only enter talks with Cutrale, a fruit juice producer, and investment bank Safra if its shareholders rejected the deal with Fyffes. The company said it was possible that no agreement with the Brazilian groups would result from the talks. Dublin-based Fyffes employs about 12,000 people worldwide, while Charlotte, North Carolina-headquartered Chiquita has 20,000 workers. When the deal was announced, US and Irish law would have permitted Chiquita to move its headquarters to the Republic of Ireland, where it would be subject to a lower tax rate than. However, the Irish and US governments have since announced plans to make it much harder for companies to take advantage of these so-called tax inversions.